QR codes have become ubiquitous enough that they’re now a useful way to “amplify” your work. These two-dimensional bar codes—looking like crossword puzzles for masochists—enable audiences to scan the code with their smartphone or camera-equipped tablet to gain access to information or trigger actions. 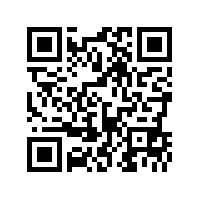 For example, scanning the QR code on this post will link you to the Explaining Research web site. QR codes, short for “Quick Response codes,” were developed in 1994 by a Toyota subsidiary to allow data to be decoded at high speed. But the company decided not to enforce its patent, so the codes have come to be used around the world. As detailed below, producing the codes is both free and easy, and when scanned by a smartphone, the code can open a text document, web site, video, e-mail address, phone number, digital business card (e.g. a vCard), map page, WiFi connection, or event announcement. For a full list of examples see the code generator on the Kerem Erkan QR generator. Just click on the “Select a Code Action” dropdown list. For educators, here’s another creative collection of 46 Interesting Ways to Use QR Codes to Support Learning. Generating a QR code only requires entering the web URL or other text into one of the code generators listed below and right-clicking to save the resulting graphic image to your computer. There are, however, some issues to consider: For example, if you want to change the web site that the same QR code accesses, you’ll want a generator such as Delivr or Snap,vu that enable such editing. You might also want to track how many times the QR code was used, so you might want to use more feature-rich generators like Delivr, Snap.vu, or Qreate & Track. Surround your code with plenty of white space when printing or displaying. Label the code’s content by putting your name or other information above or below the code. Color codes are possible, but make sure the colors contrast with one another. Bitly To produce QR code, first shorten the URL with bitly, then add .qr to the end of the shortened URL and use the link. The image of the QR code will appear on the screen. Goo.gl To produce code, enter URL to shorten, then click on “details” when the shortened URL appears to see the QR code. GoQR.me. Associated with Zazzle. Offers an easy way to apply codes to t-shirts,coffee cups, etc. Jumpscan enables creation of personal profile pages, for example for business cards. Finally, as easy as QR codes are to use, they might not be the last word in information-sharing. Newly introduced Touchcode doesn’t need a camera or a special code to distribute information. It’s an invisible electronic code printed on paper, cardboard, film or labels. Touch a smartphone or other touch screen to the print, and it reads the data. Even though I posted a guide to publishing e-books and e-articles only months ago, the field is moving so fast, it’s already time for an update. While e-books can be read on any platform, the heavy sales of tablets and e-readers is a major force driving the e-book rise. For example, a survey by the Pew Research Center found that over the holidays, the share of adults who own a tablet or e-reader nearly doubled, from 10 percent to 19 percent. As the price of those devices continues to drop, that percentage will almost certainly continue its rapid rise. And thus, so will e-book sales. Amazon reported last May that their e-book sales had passed print books, and in December, Publishers Weekly reported that e-book sales rose 81.2 percent in October, even before the Christmas season and the debut of the new Amazon Kindle Fire tablet and Kindle e-readers. What’s more, libraries are moving rapidly to offer e-book lending, according to OverDrive, a leading source of e-book services for libraries. Library lending is progressing despite attempts by with publishers to put up roadblocks, as reported in this New York Times article. Amazon was not one of those publishers, already launching its own lending library for Kindle e-books through OverDrive. E-book vendors have reacted to this explosion of sales by offering new marketing schemes and e-book development software. For example, Amazon launched its new Kindle Select program, by which self-publishers could offer their books for lending. Depending on how many people borrow their books, they could be eligible for royalties from a Kindle fund. Some publishers have complained about Amazon’s demand for 90-day exclusivity for Kindle Select books. 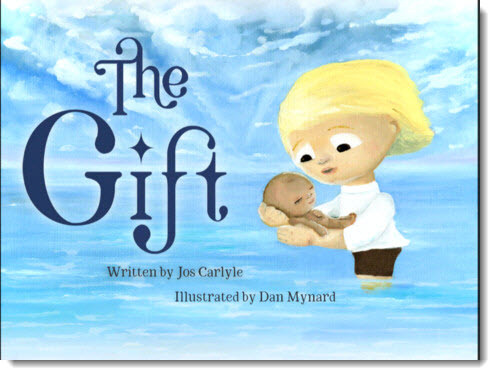 But others, including suspense author Cheryl Kay Tardif, report that making some titles available for free significantly sparked sales of other books. In my September post, I wrote that the future might see more multimedia e-books. That prediction was too timid. New design and formatting tools are making e-book layout more sophisticated and multimedia e-books significantly easier to produce. For example, Kindle has launched its new Kindle Format 8 e-book format that includes tools for creating more visual-rich layouts. 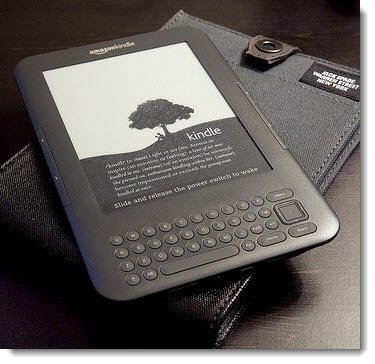 For almost all other e-readers, there is EPUB 3, the new version of the widely used e-book format. It allows for embedded audio and video files, besides enabling more elaborate layouts and navigation. Also, to enable easier creation of multimedia e-books, Apple has launched its free iBooks Author, to enable multi-touch interactive e-books for the iPad. The system has gotten good reviews, such as this one from Wired.com. The catch is that, although books created using the software can be given away for free, any sales must be done through Apple’s iBookstore. Apple’s restrictive contract has generated considerable criticism among publishers and intellectual property lawyers. Apple is not the only new player in e-books though. Self-publishers are developing their own software, including open-source software such as FLOW, described in this Wired.com post, for creating basic multimedia e-books. Duke University scientists led by marine biologist David Johnston developed the system to publish their interactive marine science textbook, Catchalot (French for sperm whale). Importantly, they decided to develop the software when their book idea was turned down by publishers as being to expensive for a limited market. Although FLOW is currently Apple-specific, the scientists plan to develop a version for Android, and to make FLOW widely available for inexpensive creation of other multimedia e-books. Finally, here are some excellent sources of information on e-book publishing. Smashwords founder Mark Coker has published The Secrets to Ebook Publishing Success, which is free for download. And here’s a a useful interview with e-book publishers on their experience. Also, the premier science communication conference ScienceOnline 2012 featured a session on e-books that included this extensive list of articles and sources about e-books. Certainly, the e-book train has not only left the station, but is accelerating down the track. Stay tuned for reports on more milestones. First the good news: e-books are very inexpensive to publish, often even free. They are distributed instantly worldwide and give buyers immediate gratification. There are also a multitude of outlets, including your own web site, Amazon Kindle Direct Publishing, Barnes & Noble Pubit!, Apple iBookstore and Google eBooks. Such outlets also include independent sites such as Kobo and Smashwords, which not only offer sales from their sites, but distribution to major outlets such as Kindle. While Smashwords is a very popular distribution service, many authors prefer to publish separately to Kindle because of better royalty rates. Importantly, none of these sites is exclusive, so you don’t have to pick one place to publish and sell. You can do it everywhere! Another piece of good news is that e-book royalties are considerably higher than for print books produced by traditional publishers. For example, Kindle offers a royalty of 70 percent; and Smashwords offers a royalty of 85 percent for sales on its site, and 70.5 percent for sales on affiliates such as Apple and Barnes & Noble. For other discussions of e-books, see Wikipedia’s comprehensive overview of e-books and their pros and cons and this article from The Science Fiction Writers of America. Now the bad news: Although sales of e-books are growing rapidly, they are still not a major percentage of the overall book market. That mass market still belongs largely to print books, although Amazon reports that its Kindle e-book sales now surpass all its print book sales. However, given that the cost of e-readers will continue to drop, most forecasters believe e-books will ultimately become the major publishing medium overall. If you write nonfiction, there is the bad news that less than 20 percent of e-book sales are for nonfiction; but that’s good news for fiction writers, who garner about 80 percent of the e-book market. E-books are also not yet part of the publishing mainstream. Don’t expect your e-book to be reviewed by The New York Times or any other major media outlet. Such lack of reviews is not necessarily terrible news, however, because fewer media outlets are reviewing books, anyway. Readers are relying far more heavily on reviews by fellow readers on Amazon and other sites. And you can solicit those reviews yourself, rather than submitting your book to the traditional media reviewers. Perhaps the most cautionary news, however, is that the low cost of producing e-books has resulted in mountains of “e-dreck”—badly written and badly edited books that clog the marketplace and turn readers off. So, before you make a decision to e-publish, you should develop a comprehensive, targeted marketing plan to determine how or whether you can distinguish your work from e-dreck. If that marketing plan really doesn’t reveal a significant market for your work, reconsider whether you should publish at all. Of course, if your e-book is a freebie to advertise your business, you wouldn’t expect to earn income from it, anyway. Also, consider whether you should publish only an e-book, or make it an adjunct to a self-published print version. A very popular self-publishing model is to use Lightning Source to produce print-on-demand (POD) books, and to create e-book versions for the many outlets. For example, I used Lightning Source to print my booklet Working with Public Information Officers as a supplement to Explaining Research. I also posted the text of Working with Public Information Officers online. While Lightning Source does offer an e-book publishing option, it does not distribute to the major outlets. Among the best sources of advice on POD are Aaron Shepard’s book POD for Profit and this article by book designer Pete Masterson on the business model for POD. For a good overview of best practices for e-book production and sales, see this article from the independent publishing group SPAN and this Kindle e-book by James Matthews, How to Make, Market and Sell Ebooks – All for Free. And for a view of the future, see book marketer Penny Sansevieri’s article The Next 10 Ebook Trends to Watch For. Besides publishing book-length manuscripts, you can also publish and sell e-articles. Major e-article outlets include Kindle Singles, Apple Quick Reads, and Smashwords Shorts. Kindle is perhaps the largest such e-article outlet. Helpful resources for publishing Kindle Singles include Larry Dignan’s review My Amazon Kindle Single publishing experiment, Megan Garber’s article 1,900 copies: How a top-selling Kindle Single is generating new audiences for ProPublica and the Kindle book How to Publish and Sell Your Article on the Kindle: 12 Tips for Short Documents. Rather than publishing your article on one of the e-book sites, you might also consider e-article web sites. Popular e-article sites include The Atavist, Byliner, Longform.org, Scribd and the “e-reading community,” Wattpad. Each of these has a different publishing model: The Atavist charges readers for articles, Byliner links to articles from other sources, and Longform.org and Scribd offer free articles. Wattpad hosts free e-books and e-articles by untried authors, who can receive coaching and criticism from readers. Once an author feels his/her work is ready for commercial distribution, it can be published on Smashwords, a Wattpad partner. Besides article publishing sites, there are also article syndicates that provide articles free to other web sites and blogs. Such syndicated articles are mainly how-to pieces aimed at promoting a web site, service or business. Syndication sites include Articlecity.com, Ezinearticles and Goarticles. John Kremer, author of 1001 Ways to Market Your Books offers a listing of free article directories and online article sites. This site also includes fee-based services and software that claims to enable writers to produce and syndicate free articles. If you are seeking to create an e-book, the first challenge is figuring out the confusing welter of e-book formats. Each has its benefits and drawbacks, as outlined in this Wikipedia article and this listing on ePublication Marketing Associates. The safest bet is to produce your book in the formats preferred by the outlets you want to use—for example the .mobi format used by Kindle. Also, you can use such distributors such as Smashwords to convert your book into multiple formats that will serve a range of outlets. 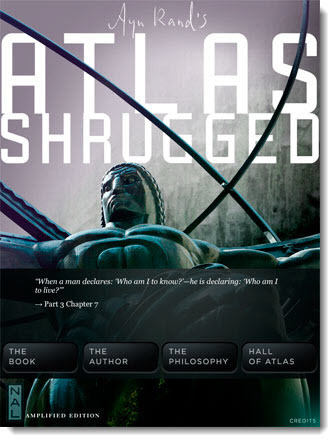 Another complexity is that laying out any e-book is quite different from laying out a print book. Unlike a print layout, an e-book layout allows text to “flow,” according to the screen size. Also, readers can customize font size, font style and line spacing. So, page numbers are meaningless in e-books, and it is difficult—sometimes impossible—to control the placement of images, footnotes, endnotes, columns, tables, superscripts, subscripts, and other design elements. And given the low resolution of e-book screens, images will not be as crisp as in print. If you do your own layout, some sites, offer authors substantial formatting help. These sources include the Kindle Direct Publishing site, the Amazon Kindle Publishing Guidelines, the Barnes & Noble ePub Formatting Guide and the Smashwords Style Guide. The software Jutoh has also received good reviews as an e-book formatter. However, if your book has complex design elements such as images and tables, and if you’re not up to tackling a sometimes a technically difficult conversion process, you might find it wiser to pay an expert to format your book for you. Good sources for formatters are this Bookmarket list of e-book producers and distributors and this list from self-publishing guru Dan Poynter. To hire a Smashwords designer, you can obtain a list of authors who can format e-books and create e-book cover designs by emailing list@smashwords.com. Other e-book sites, such as AuthorLink, Bookbaby and eBookIt! offer formatting services as part of their fee-paid publishing package. While Apple offers only minimal help in posting e-books to its iBookstore, it does offer a list of recommended “aggregators” that can provide layout and other services. A word of caution: while the list includes free aggregators such as Smashwords, and commercial services such as Ingram, it also includes the subsidy publisher Lulu. While Lulu offers a free e-book publishing service, such subsidy (aka “vanity”) publishers also promote paid publishing packages that are of doubtful value. See Masterson’s article on vanity publishers for a good summary of the drawbacks of such publishers. BookLocker is another subsidy publisher that offers conversion and distribution services for e-books. Many e-book distribution sites, however, do not offer layout services, although they are still worthy outlets. These include eBooks.com , eBookMall, ePublication Marketing Associates, Fictionwise, and Scribd. Two other sites, Payloadz and E-junkie, sell all digital goods. Another, Overdrive, distributes e-books and other media to libraries, schools and universities. The future of e-books may well extend beyond text to include sophisticated multimedia. Such enhancements may involve only adding a soundtrack to an e-book, a service offered by Booktrack. See this New York Times article on the uses for Booktrack. Or, multimedia may take the form of elaborate apps for the iPad and other tablet computers, as discussed in this New York Times article and in my blog post How the iPad is Inspiring New Publication Formats. Already, early pioneers such as Push Pop Press and Vook are creating extraordinary multimedia e-books. However, such multimedia apps are expensive and complicated to produce, and unless there is a mass market for an app, authors are perhaps wisest in sticking to simple, traditional text. So, you give that brilliant slide presentation, and there’s thundering applause, and the enthralled audience asks if they can get your slides. You can do much more than that. You can actually give them the whole presentation as an online, narrated presentation . . . and for free! I’ve long been an advocate of using online services to post narrated “slidecasts” of presentations, because the result can be an enormous increase in the audiences for your presentations. For example, when I gave a talk at the 2010 annual meeting of the American Association for the Advancement of Science, the attending audiences was about 200. But when I posted that presentation on SlideShare, the online audience grew to about 3,500. The value of online posting was emphasized for me when I gave a talk at the AAAS Science & Technology Policy Symposium. By posting the narrated slide show on Slideboom, I was able to offer AAAS a much more effective “handout” that if I’d given them text or my PowerPoint slides. And it’s easy for people to pass the presentation URL along to others. The references and resources section of Explaining Research lists many sites for sharing not only slide presentations but other content. The sites include Slideboom, Slideserve, Slideshare, and myBrainshark. Even though Slideshare is the largest such service, I’ve settled on Slideboom because it has a much easier uploading and audio synchronizing capability than Slideshare, which I used previously. With Slideshare, you upload your slides and audio separately, and then go through a laborious process of synching your audio with your slides. In contrast, with Slideboom, you use the audio recording feature of PowerPoint to record your narration right in the slide show. So, when you upload the presentation, it’s set to go. Also, Slideboom enables you to embed video and PowerPoint animations in your show, which Slideshare does not—although Slideshare does enable you to embed YouTube videos. To include video in a Slideboom presentation, you use the free add-on, iSpring, which converts your presentation to Flash—including narration and videos—and uploads it to Slideboom.The result is a much smaller file size. For example, my AAAS slideboom presentation was 240 megabytes. However, if you don’t need Slideboom’s video embedding capabilities, one advantage of Slideshare, is that you can embed links in your presentations, so users can explore other Web sites that you reference. I have by no means explored all the presentation-sharing sites, and all the features of Slideshare and Slideboom, so there may be features I’ve missed. But I’ll keep exploring. For example, the services enable you to embed presentations in your WordPress blog, but I’ve not figured out how to install the plugin yet. Two free books, Social Media: A Guide for Researchers and Virtual Events for Dummies offer to fill a gap in knowledge about new media for both researchers and communicators. Also importantly, they help to increase the comfort level with this unfamiliar realm, given that researchers may be reticent about plunging into blogging, tweeting, and virtual eventing. The book is extensive, covering how to use the full gamut of social media, including blogging, microblogging (e.g. Twitter), social networking (Facebook, LinkedIn), wikis, social bookmarking (Delicious), social documents (Google Docs), project management (Bamboo), and multimedia (Flicker, YouTube, SlideShare, SecondLife). It draws on extensive interviews with researchers who use these tools, offering examples of their specific applications. And, the book emphasizes that swimming in the social media pool need not be a marathon, but perhaps only a comfortable dog paddle. Scientists could choose to be major bloggers or Facebookers, or merely comment on others’ blogs or “like” Facebook posts. The book’s realistic assessment of social media includes a full account of criticisms, including the concerns about encroachment of technology, invasion of privacy, and information and workday overload. And usefully, the book illustrates how social media can enhance the “academic research cycle” of knowledge identification, creation, peer review and dissemination. 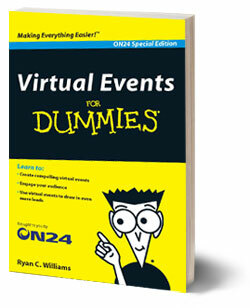 Virtual Events for Dummies, while narrower in scope, is nevertheless a good introduction to the topic. While it is published by the commercial webcasting company On24—and while it emphasizes business events—the advice it offers is helpful to researchers and research communicators. For example, the section on using webcasts and webinars for “training” could be applied to using them for research seminars. The book’s major point that virtual events are far cheaper than real events will resonate with university researchers whose budgets are tight. And the points that virtual events are global and can be archived for long-term access emphasize important advantages over a one-time live seminar. The book explains the spectrum of virtual events, including audio streaming with slides, video streaming, text-based chat, and discussion forums. It also helps readers better understand the role of virtual events by comparing them with physical events, and by comparing types of virtual events—for example, webcasts versus web conferences. The book’s chapter on best practices offers practical advice for attracting participants, targeting and engaging audiences, and interacting with them. Besides these books, more extensive resources on social media are available on the references and resources page for the chapter on social media on the Explaining Research Web site.